I love the packaging! Sparkly and rose gold?! It’s stunning. I thought would share some of my very first impressions on what I purchased! 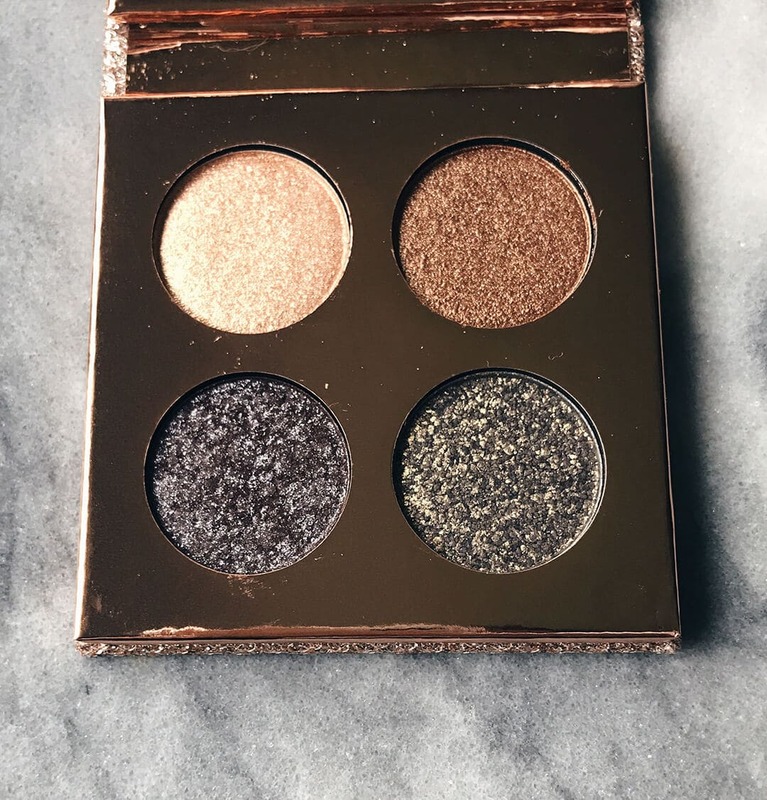 The eyeshadow quad is unique, not only in shades but also in how it’s meant to be used. All shades are recommended to be used with a finger and two of the shades, Suz and Harpoon, are recommended to be used wet as well. All of my swatches are dry and with no primer. Harpoon is stunning. 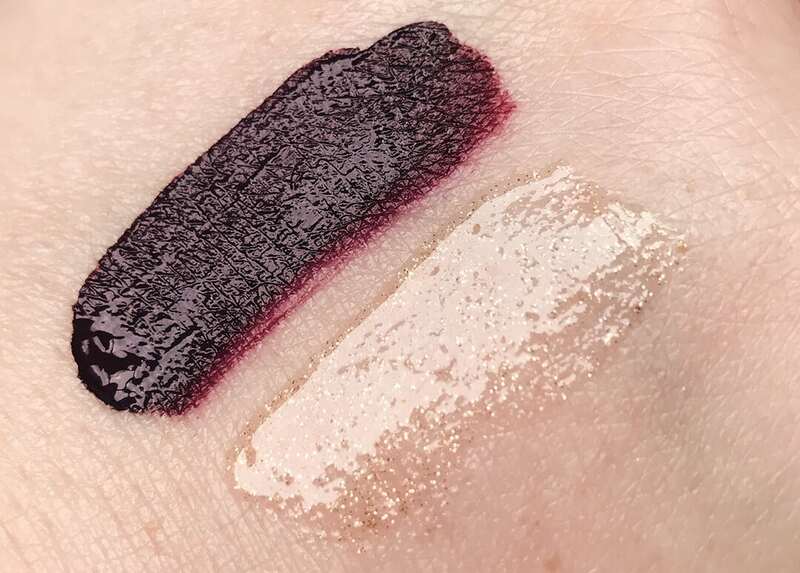 Even swatched dry you can really see the gold sparkle shift. I don’t want to call it glitter because it’s more like gold flakes in a way. Turbosan is also really unique, it has this dark chocolate base but with a duo chrome type sparkle. 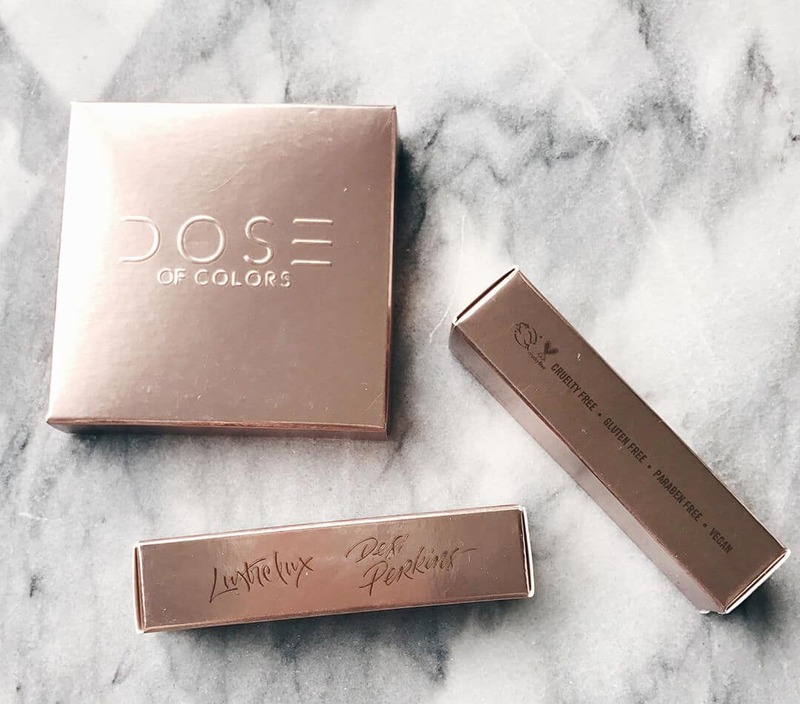 Dose of Colors has one of the best liquid matte lipstick formulas on the market right now. 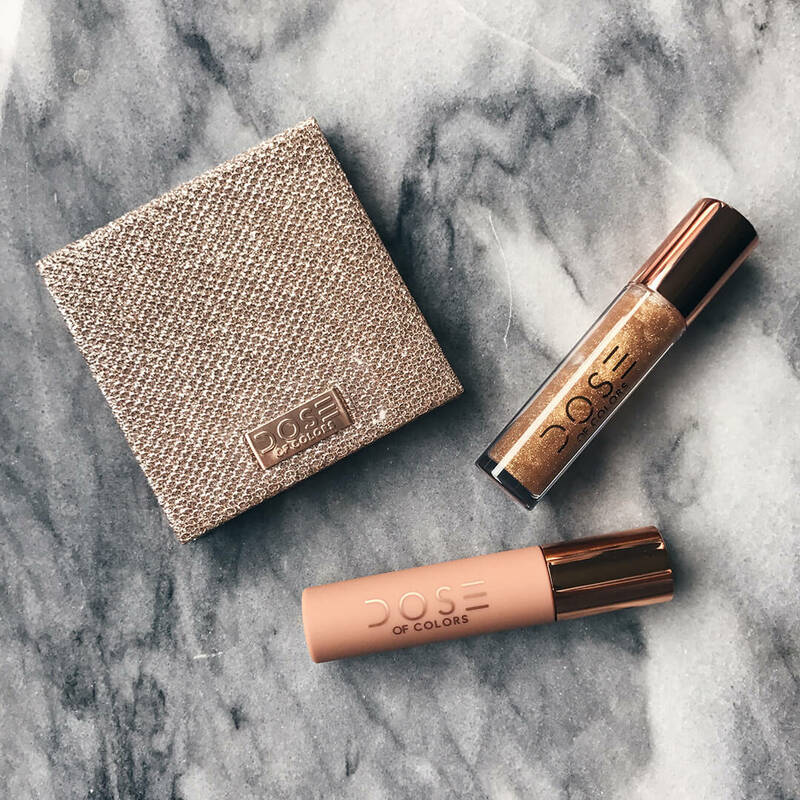 Saváge is THE perfect shade for fall and Over the Top lip gloss, although super gold in the tube, is much more sheer with more of a golden shift. The gloss isn’t gritty at all, which is hard to find in a gloss so sparkly. The collection is sold directly on the Dose of Colors site. They are going to do a restock sometime in September. All the colors (shadows and lippies) makes me think of the coming fall! I bet the shadows will look beautiful in the sunlight. The bold lip color is stunning and you pull shades such as these off so well. Thank you! 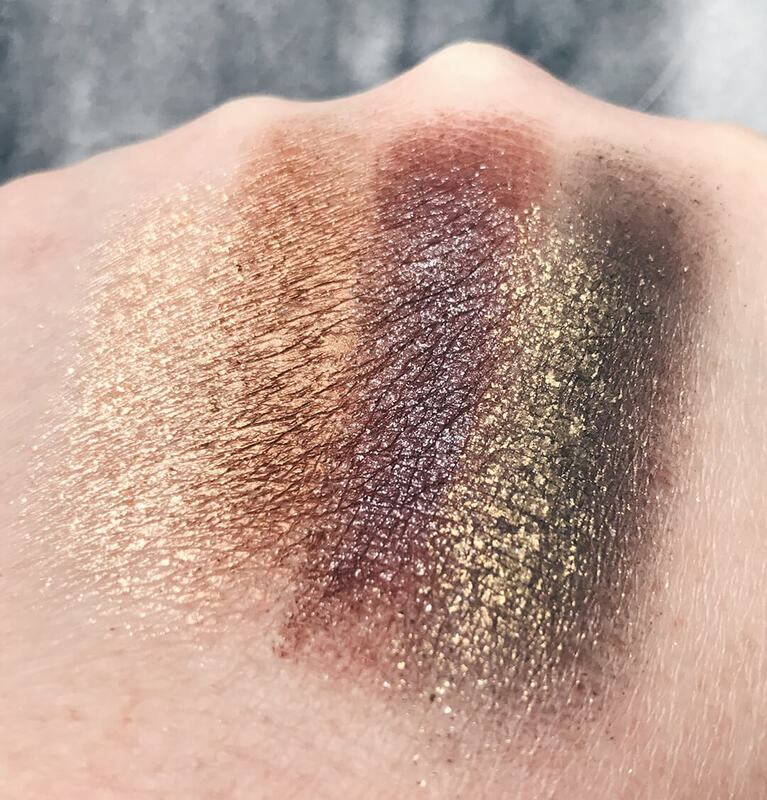 I really think the shadows will make some awesome bronzey/fall looks.